Australia’s most iconic outback pub. Everyone wants to say they’ve had a beer at The Birdsville Hotel. Since 1884, it’s weathered sandstone walls have been a welcome refuge to travellers from across the globe. 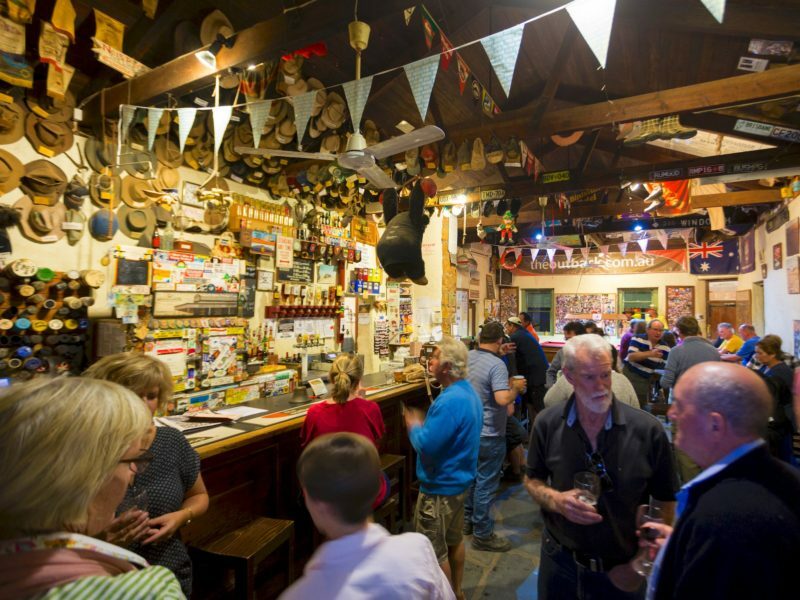 A destination in its own right, the pub has endured floods, fires and even cyclones to stand as a symbol of the spirit and character of the outback. 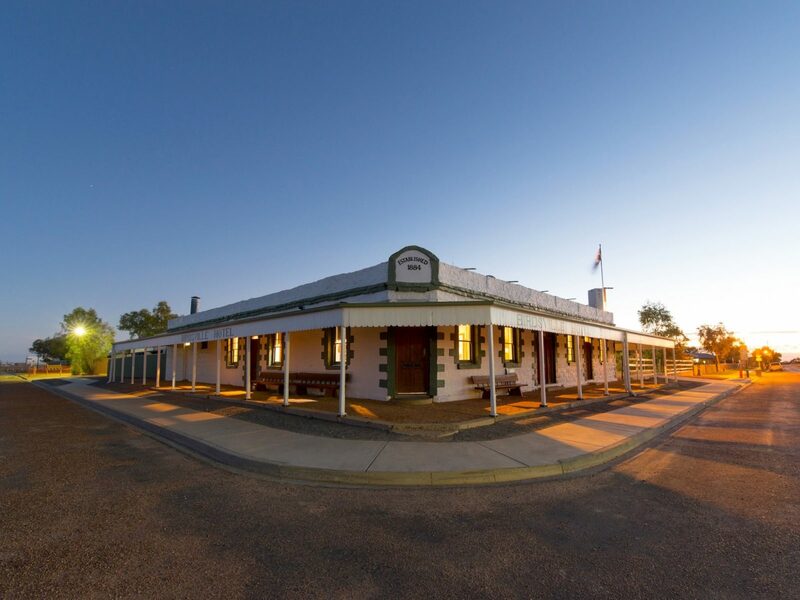 The Birdsville Hotel is steeped in history and has played a fascinating, yet important, part in the exploration and settlement of Australia’s desert country. Today, the iconic award-winning pub is the main focus in Birdsville at any time of the year but more so during the running of the famous annual Birdsville Races and the Big Red Bash. The pub offers visitors comfy accommodation, traditional pub fare, quality wine list, ice-cold drinks and with everything else needed for an authentic outback experience. 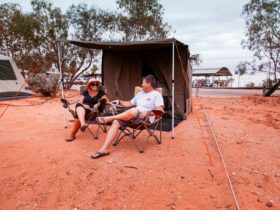 Whether you parked your car out front or your plane on the airstrip opposite, once you enter the Birdsville pub, you’ll find yourself in a place like no other — a place where you can immerse yourself in the ambience and stories told by characters as colourful as a painted desert landscape. The Birdsville Motel is located at the Birdsville Hotel. 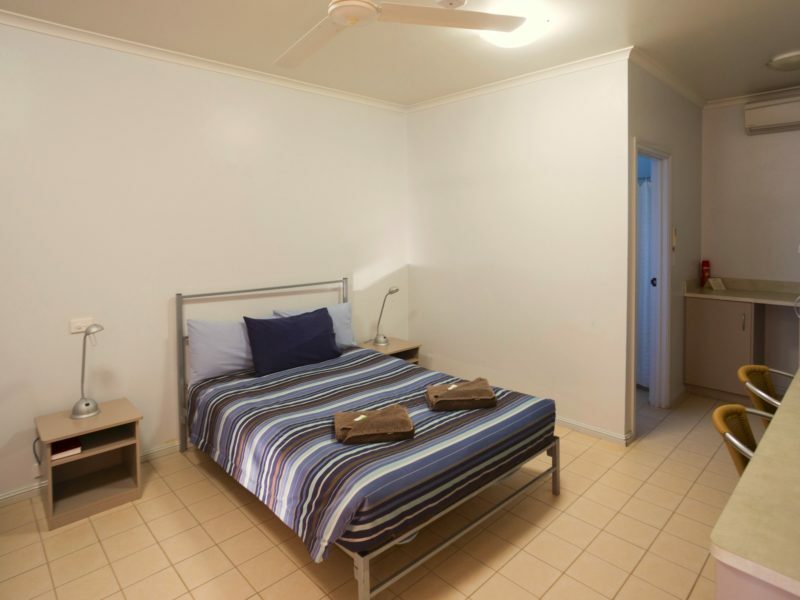 The rooms are modern and comfortable – be sure to plan ahead and book early during the cooler winter months! Two bedrooms, single beds and double bed, suits family with two or three children.